Rituals Opens Store No. 15 in the US – Welcome Fashion Island! 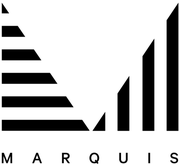 Marquis Projects Inc is a boutique project management firm specializing in retail projects. We collaborate with the best designers and contractors to elevate your space to the next level. Born in response to the shifting retail industry where experiential retail and pop-up shops have changed the traditional corporate development strategy; businesses now require continual evolution and innovation. As a former Owners' Representative, our President, Sara Miller saw the opportunity to provide that agility to clients. For businesses looking to start or expand their bricks and mortar footprint, the process can be intimidating. From the site review through to opening day, we have the experience to help you navigate the complex world of design and construction. Marquis Projects has an extensive network of consultants and contractors across North America and will align you with the right team for success.